We’d love your help. 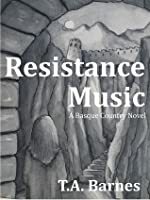 Let us know what’s wrong with this preview of Resistance Music by T.A. Barnes. Her parents were movie stars with secrets, her sister a rock star with bad connections. What they knew got them killed. It might kill her, too. Sancia Loyola de Bastida, 34-year-old concert violinist, raised between Spain’s Basque Country and Manhattan, knows nothing of the terrorist group known as Eta, neither its origins nor activities. She knows nothing of her connections Her parents were movie stars with secrets, her sister a rock star with bad connections. What they knew got them killed. Sancia Loyola de Bastida, 34-year-old concert violinist, raised between Spain’s Basque Country and Manhattan, knows nothing of the terrorist group known as Eta, neither its origins nor activities. She knows nothing of her connections to it and worse, much less than she thinks she knows about her family. When her fiery, famous sister is reported dead under dubious circumstances, Sancia is certain the truth is being hidden. What she comes to know will cast her loose in a wilderness of uncertainty—who exactly was this younger sibling she adored? What secrets did the family castle hide, perched on its cliff above the Bay of Biscay in the heart of Basque Country? What had been the real cause of the car wreck that killed her parents on the coast road that dark night? Like the ancient tunnels beneath the castle, a one-time playground for carefree girls that now holds secrets of its own, her inquiries lead her deeper into a time when Spain withered under the rule of a despot, when resistance was honorable, submission unthinkable. It’s a journey Sancia cannot retrace, a fated leap into the bloody arena of those whose obsession makes them murderous and their hunters, whose zealotry makes them savage. Here she must place her trust in those who could betray in the cruelest ways: Can Ryan Everly, the journalist chasing the story of his life, really put Sancia’s interests first when she reveals secrets that could get her killed? Will Kate Guthrie, the Texas-born commando recruited by international terrorist hunters break her orders to save her? 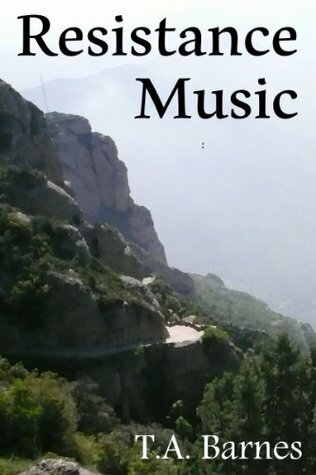 To ask other readers questions about Resistance Music, please sign up. This book grabbed my attention from the beginning, and it never let go. I loved the variety of characters and the opportunity to see events from so many different perspectives. The suspense was high throughout, and for much of the book it was unclear whether any of the characters could be trusted. By way of criticism, I felt the villain was a bit too extreme. (view spoiler)[ If Char hadn't died at the beginning, wouldn't his plan have killed her? And wouldn't that have alienated his followers, no This book grabbed my attention from the beginning, and it never let go. I loved the variety of characters and the opportunity to see events from so many different perspectives. The suspense was high throughout, and for much of the book it was unclear whether any of the characters could be trusted. One further note: I wasn't expecting the strong religious angle at the end. I'm still not sure how I feel about that. I found myself searching the internet for more information on the history and language of the Basques, the architecture of castles in northern Spain, and many other facts quoted in this fascinating novel. I am impressed with the amount of research this author obviously pursued in his writing of this book. My husband and I have spent time in Spain and fell in love with the people and the country. Now we want to go back and really explore Basque country. This is a great read! This book is a thrill ride with a history lesson attached. I loved the good guys and the bad guys are scary real. I didn't know anything about the basque people but this book has sparked my interest.